You should test your doubts at the earliest if you suspect you have a cheating wife. But, instead of resorting to ineffective measures to search for the truth on your own, it’s a better idea to hire a private investigator to do the job. They can deftly carry out surveillance and investigative tasks with the help of plentiful tools at their disposal. However, it is important to know more about the private investigation firm prior to availing their services. Here are five questions you should ask before hiring a private investigator to catch a cheating wife. #1 What Is The PI’s Professional Background? An important part of the process involves getting information about the PI you wish to hire. Know more about their area of expertise. Ask if they are retired law enforcement officers. Get information on whether they were terminated from investigation or law enforcement due to disreputable practices. This will give you a fair idea of their proficiency and knowledge. Inquire if they are well acquainted with crime and surveillance. Select a PI with precise skills to effectively deal with your specific situation. # 2 Is The Private Investigator Licensed? A particular company or individual’s licensing status is available in the state where you live. This helps to validate the credibility of licensed private investigators. Try to validate their license number prior to availing their services. If the PI is a licensed one, their number will be visible on the business cards, their website or on other promotional stuff. This will ascertain that the PI maintains consistent ethical plus professional standards. #3 How Experienced Is The Private Investigator? Searching for the right individual and enquiring about their background is vital. The credibility of your case might be undermined if the information obtained by the PI is via unlawful means. Make it clear at the onset what you find satisfactory in your contract for your own safety. Try to select a Houston private investigator that specializes in cheating wife investigations. Because they need to have specific knowledge of how to investigate such cases. Appraise their methods of investigation by asking for some previous work samples. Ascertain the methods used along with the intricacy of the case. This will ensure that the PI handles your case in accordance with your values. #4 Can You Talk One-on-One With The Specific Person Who Will Be Conducting The Cheating Wife Investigation? Agencies usually have a team of PIs with precise backgrounds, licensing and dexterity to efficiently handle your case. Their personal strengths might be beneficial depending on the circumstances if they follow ethical practices. See that you are satisfied with the capabilities and licensing status of the individuals handling your case. Evaluate the individuals assigned to your case for your peace of mind. #5 What Is the Success Rate of the Private Investigator? Experience is an advantage in professional surveillance and investigative cases. Favorable results are guaranteed when you opt for a PI with a successful track record. You can also opt for a respected, and skilled yet new PI provided he has the skills to handle your case proficiently. A PI must follow a measure of scrutiny and must strictly adhere to the professional and ethical standards of the trade. 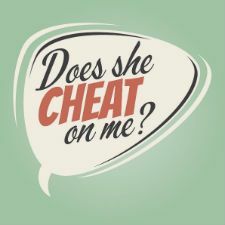 In order to expect the best outcomes, raise the right questions prior to hiring the services of a private investigator to catch a cheating spouse. Remember, it is better to procure hard evidence prior to confronting a cheating wife. Confronting them with inadequate proof will surely result in a denial or other negative consequences. A skilled PI will help you collect the most authentic and telling evidences of infidelity.